You should have seen me trying to pile these paletts on top of each other by myself...quite a scene. Luckily a friend of mine came to assist shortly thereafter. 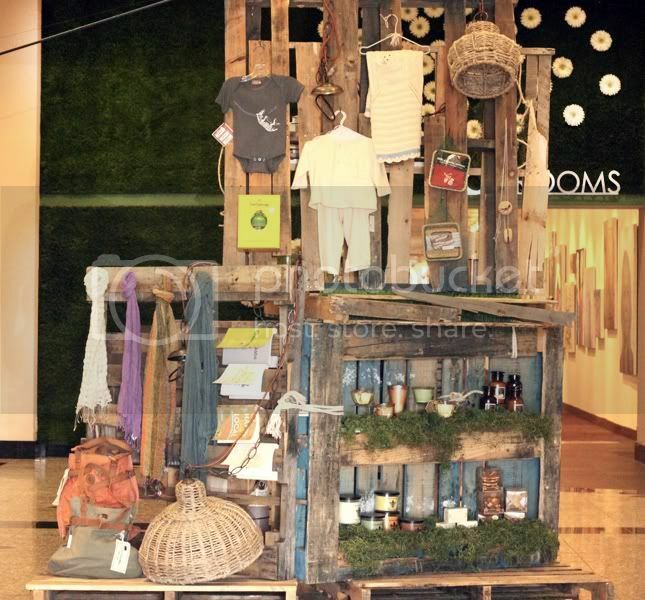 *Overall concept: I decided to go with a really rustic, recycled look since it complimented the eco friendly products. I didn't purchase anything new for this display. 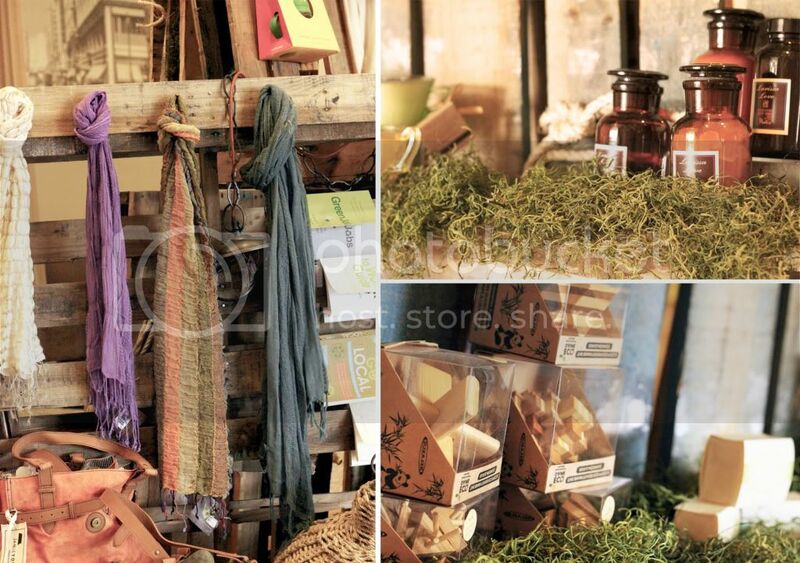 I gathered pallets from around the Mart and used some old rope that was laying around to tie them together. The moss is also recycled from a previous project.